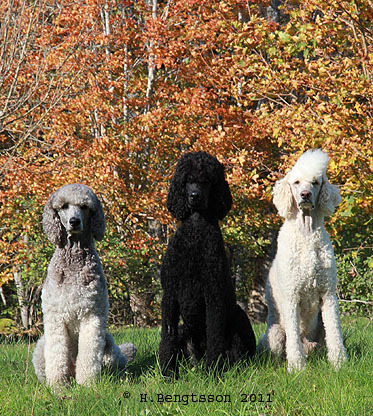 Here you can read about the three standardpoodles Eros, Wille & Yoda. You can also read about Frost that is no longer with us. There are only a few pages written in english but I hope that you can enjoy all the photos and look through all the other pages even though they are in swedish. We do a lot of things with our poodles, mostly obedience, tracking and retriever hunting. Don´t forget to sign the Guestbook.